North Lamar went into the mid-season bye with a solid win over Canton, appearing to be ready for district play. 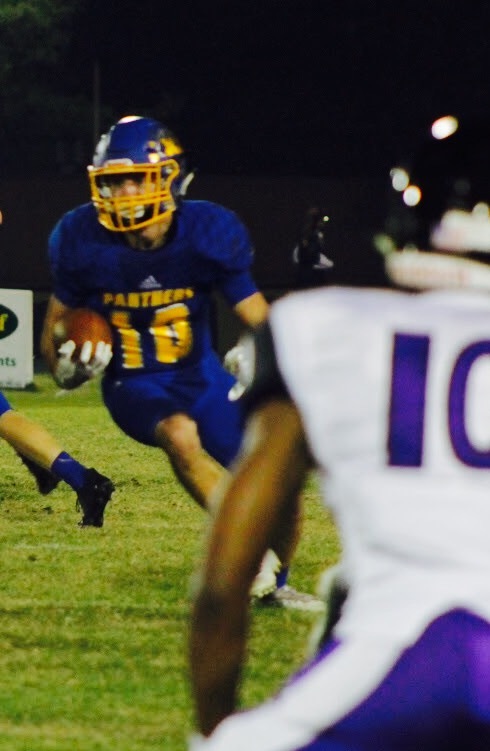 The Panthers hosted the Anna Coyotes in their district opener Friday night. It was only the second time this year NL played at home. 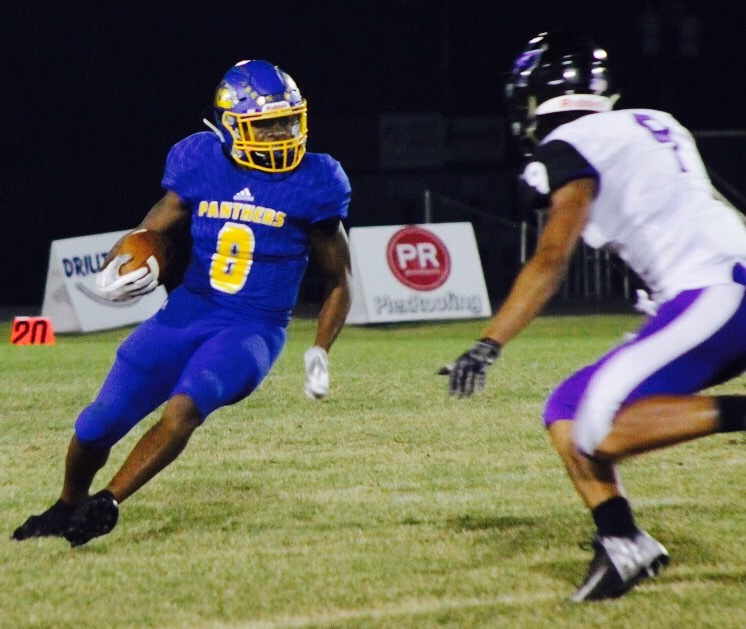 For just over two quarters it looked as if the Panthers might be able to notch their first district win of 2017, but then things fell apart as Anna outscored NL 30-6 in the second half. NL started off like a team in control, taking the opening drive down the field in just over two minutes and finishing with a 33-yard TD run by Tyler Hill. After a penalty on the first PAT, NL would fail to convert the second attempt and led 6-0 with 9:36 left in the first quarter. Meanwhile, the Panther defense looked dominant in the first two Anna drives, forcing 3 and out both times. The defense broke down on a play early in the second quarter as the Anna QB cut through the right side of the defense, scampering 48 yards to score. The PAT gave Anna the lead 7-6 with 10:26 left to play in the first half. It was a lead they would never surrender. On the next defensive sequence, Anna drove deep into NL territory before the Panthers made a stop on a 4th down attempt, regaining momentum in the ball game. Unfortunately they could not hold the momentum long. On the second play of the Panther drive, Jay Walters hit Austin Allison on a left-side screen that looked like a great play. Allison would scoot for 9 yards before having the ball dislodged by the hit from the Anna defender. The Coyotes recovered the ball and scored a few minutes later to give them a 14-6 lead that they would carry into halftime. While NL looked pretty solid on defense in the first half, halftime adjustments by Anna would prove to be the difference. The Coyotes would finish the night with 393 yards of offense, and nearly two-thirds of that was in the second half. The difference was seen immediately as they took the opening drive down the field, holding the ball for over four minutes before scoring. With a 2-point conversion, the lead was extended to 22-6. The Panthers answered quickly with Jeremiah Guenther taking the handoff on the first play of the drive. He moved quickly through a mammoth hole created by the offensive line, split the difference between the two safeties and raced 57 yards for a TD. NL failed on their 2-point conversion attempt, trailing 22-12 with 7:01 left in the third quarter. That would be the last time the Panthers would see the end zone. With 293 yards of total offense, NL was below season averages. In spite of a big drive to open the game and a big play to start the second half, the Panthers struggled on offense for the rest of the night. Anna scored three more TDs on the night and added a safety on a botched snap during a punt attempt by NL. Anna defeated the Panthers 44-12. The loss gives the Panthers a 2-4 record for the year, 0-1 in district play. NL looks to recover this week as they host the Liberty-Eylau Leopards on Friday, 10/20. L-E is 1-5 for the year, 0-1 in district after losing to Paris on Friday night. Kickoff will be at 7:30 at R.L. Maddox stadium. You can hear the call on Mix 107.7 as game coverage starts at 7:00.